Our Tension Fabric Display stands are the latest type of Display Stands available. 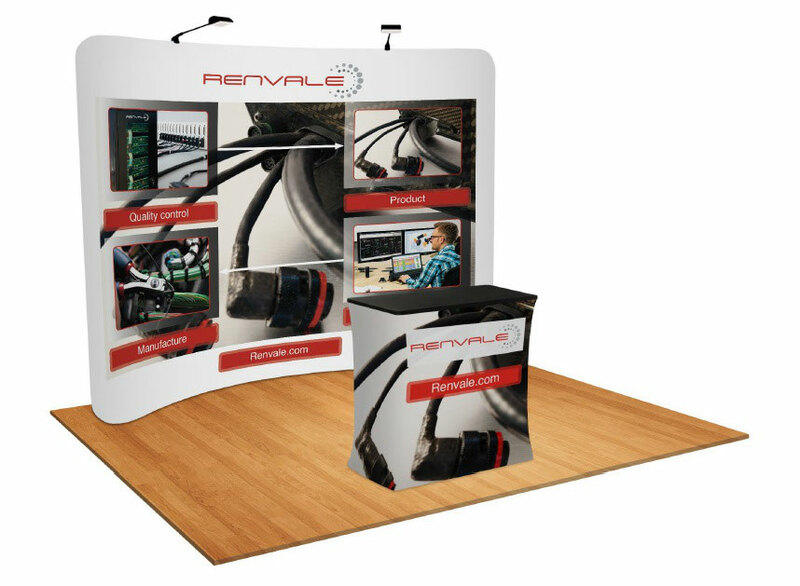 Tension Fabric Display stands come in a choice of styles, plus optional extras such as Podium Cases and LED lighting complement a sophisticated design. 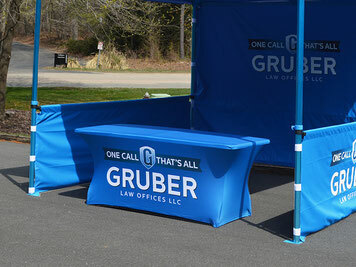 Light and easy to erect and fold away, plus all graphics are washable and inter-changeable. 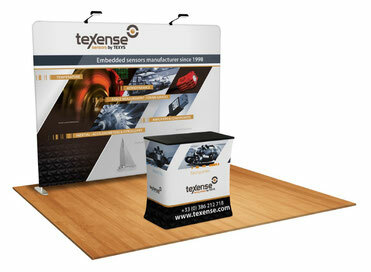 Our tension graphic wall systems provide superior graphics and portability. 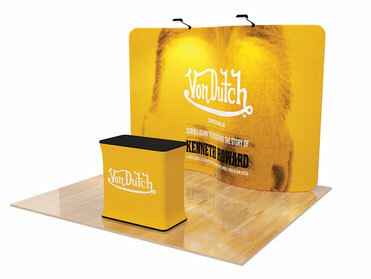 The very latest in stunning exhibition or retail backdrops. 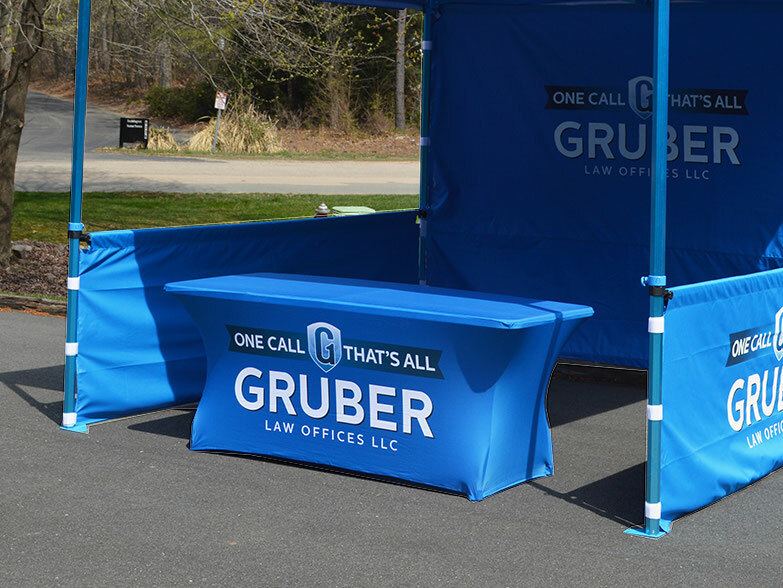 A modern twist on conventional pop up systems with machine washable, interchangeable stretch fabric tension graphics which create a smooth, professional backdrop. Easy to transport and even easier to setup. No tools required. Aluminium frame is lightweight, simple to pack away & store. Replacement graphics available for cost effective re-branding. Optional podium graphic and LED lighting system. 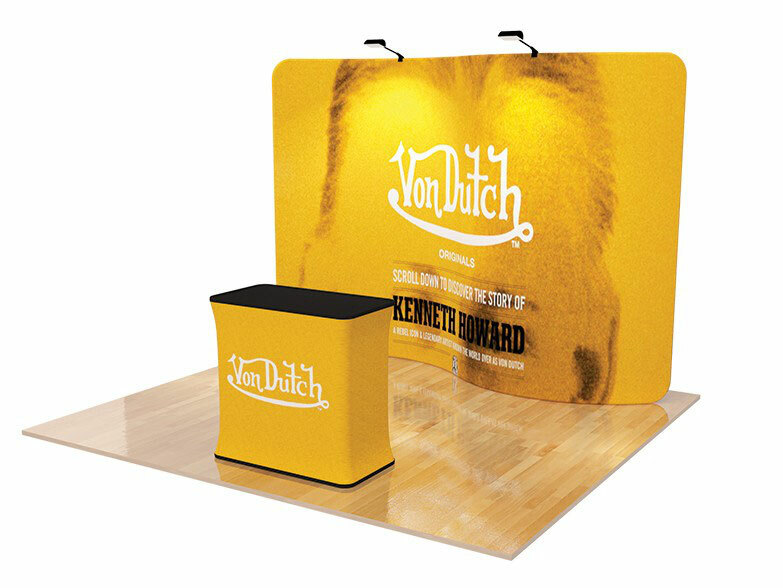 The very latest in stunning exhibition or retail backdrops.A modern twist on conventional pop up systems with machine washable, interchangeable stretch fabric tension graphics which create a smooth, professional backdrop. Easy to transport and even easier to setup. No tools required. Don't get into a flap, the very latest technology can now be used to stunning effect with the Stretch Tension table cloths. Stand out from the crowd at your event, made from high quality materials to provide superior finish to your display area. Full colour CMYK sublimation printing as standard brings your design to life. Available for 6ft or 8ft tables.